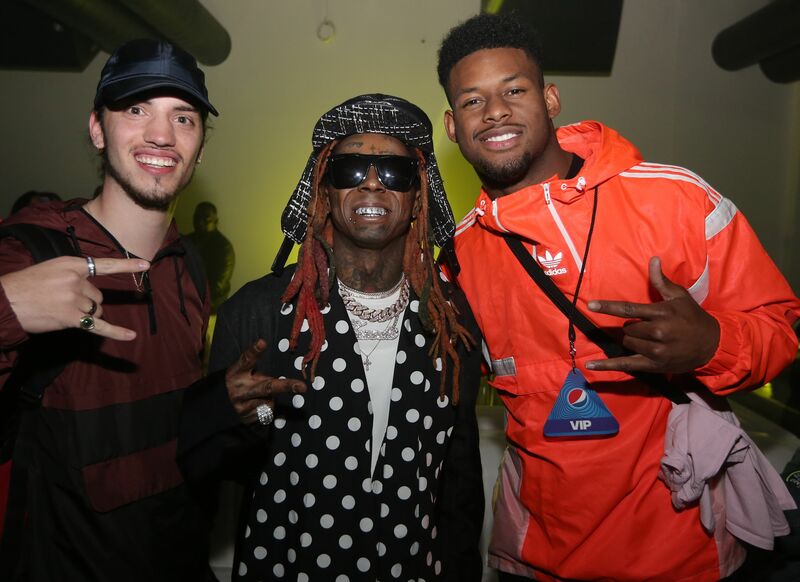 The rapper hosted a bash for the athletes and employees of his new sports business. 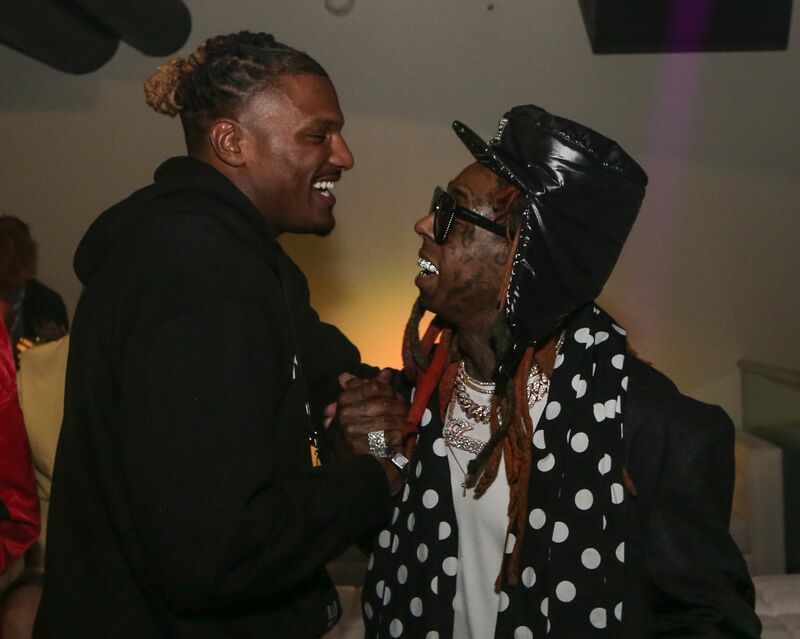 (AllHipHop News) Rap star Lil Wayne is moving full-steam ahead with plans for his sports agency, Young Money AAPA. 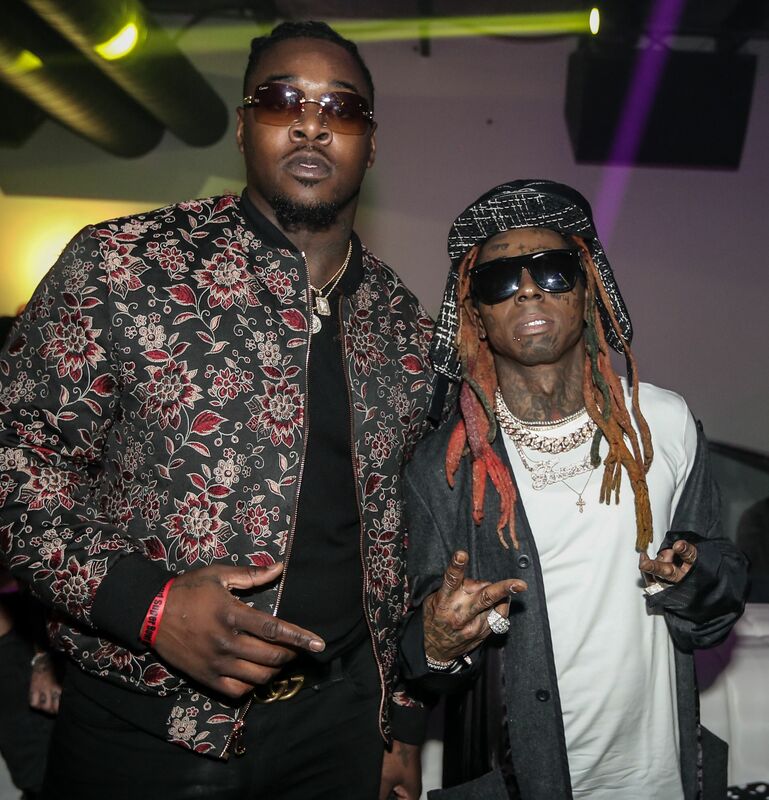 The rapper launched the sports agency back in 2016 and he has been building an impressive roster of athletes ever since. 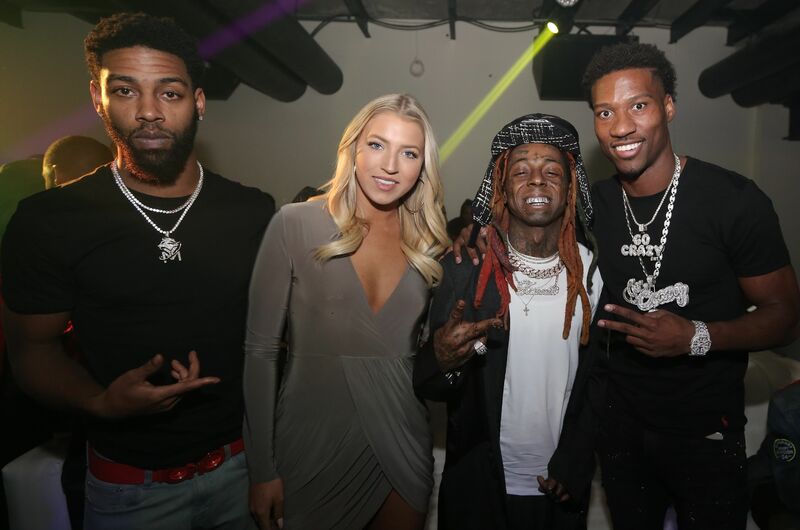 In fact, last week Lil Wayne inked a deal with rising star Deandre Baker, who is expected to be a Top-10 NFL draft pick in April of 2019. 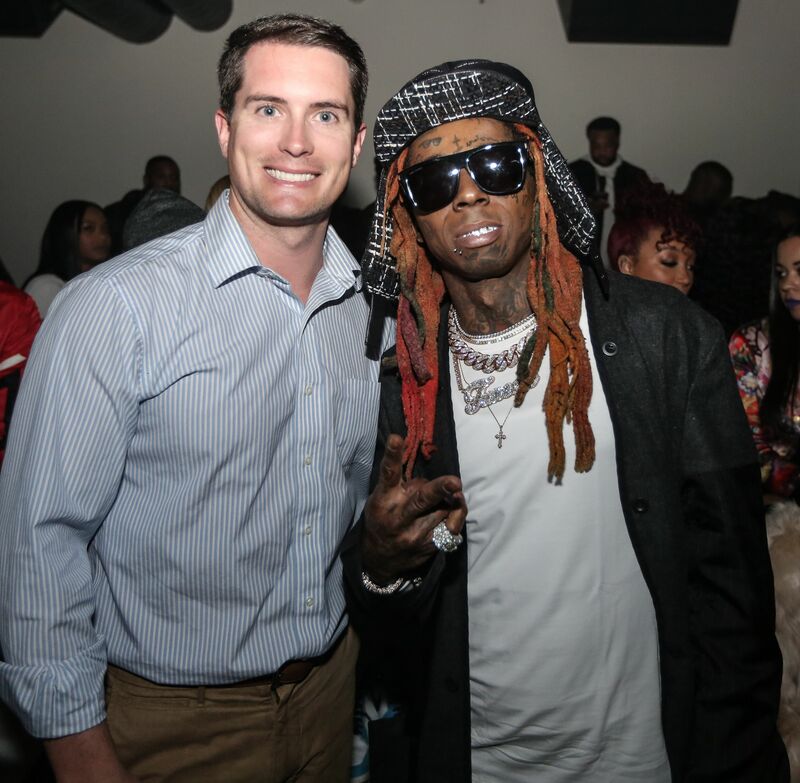 Wayne took some time to toast his employees, as well as his athletes during Super Bowl Weekend in Atlanta. 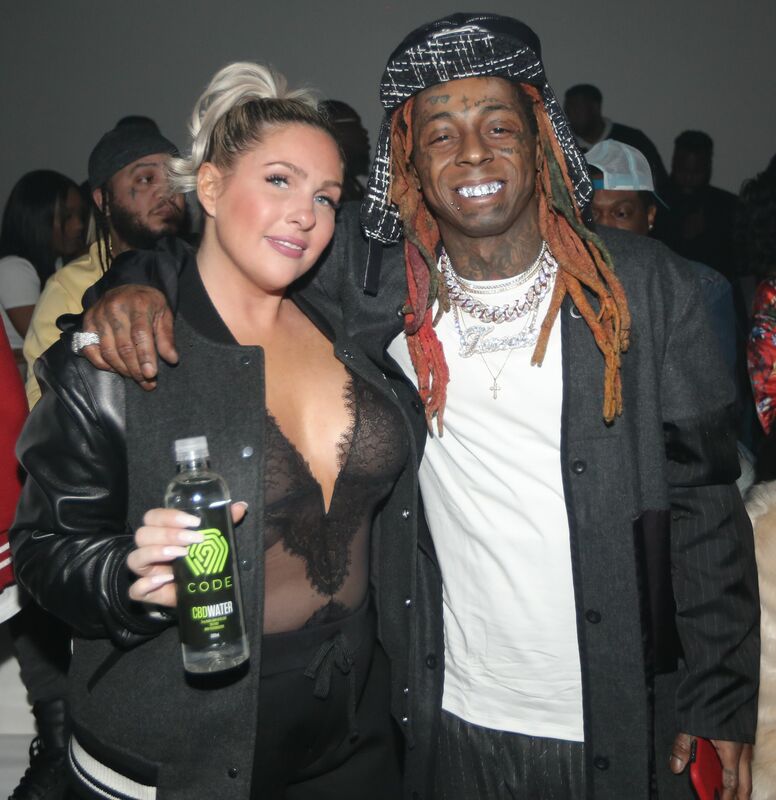 Lil Wayne hosted a lavish party at Republic, where he was seen partying with his growing roster, and his business partners. 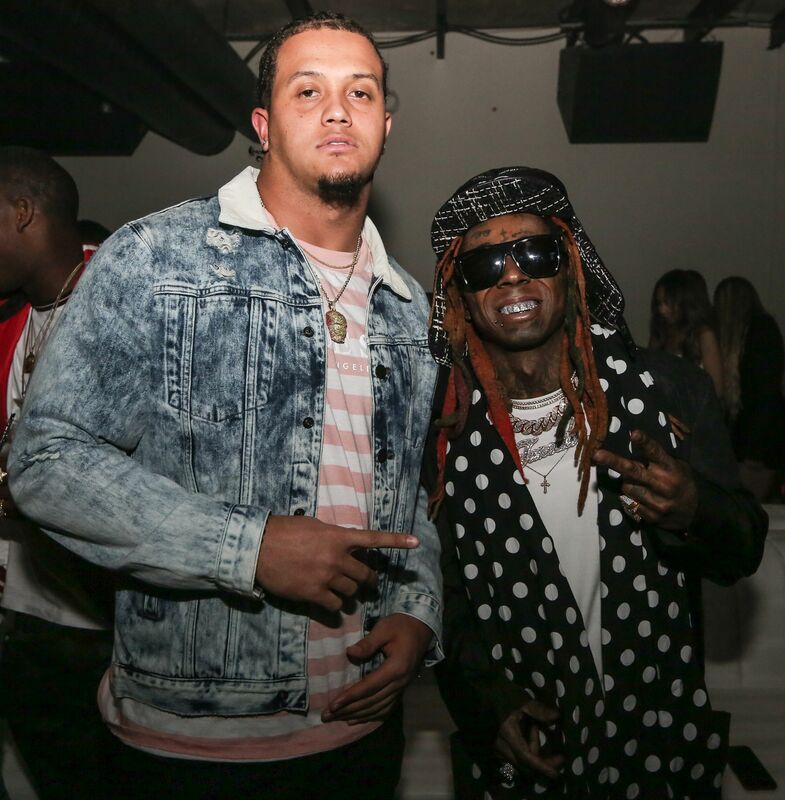 Jordan Evans, Adrian Colbert, JuJu Smith-Shuster, Dede Westbrook, Jarran Reed, agent Cody Recchion and Danielle Blair of Code Life CBD were are among the notable names in attendance. Take a look at some of the pictures courtesy of Thaddeus McAdams / ExclusiveAccess.net. Good luck to all in their endeavors, but with all of the money problems Wayne has suffered over the years. Why would anyone want to sign with him to represent their financial interests?